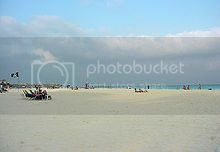 Quintana Roo is the other state besides the state of Yucatan Mexico located on the northern tip of the Yucatan Peninsula. 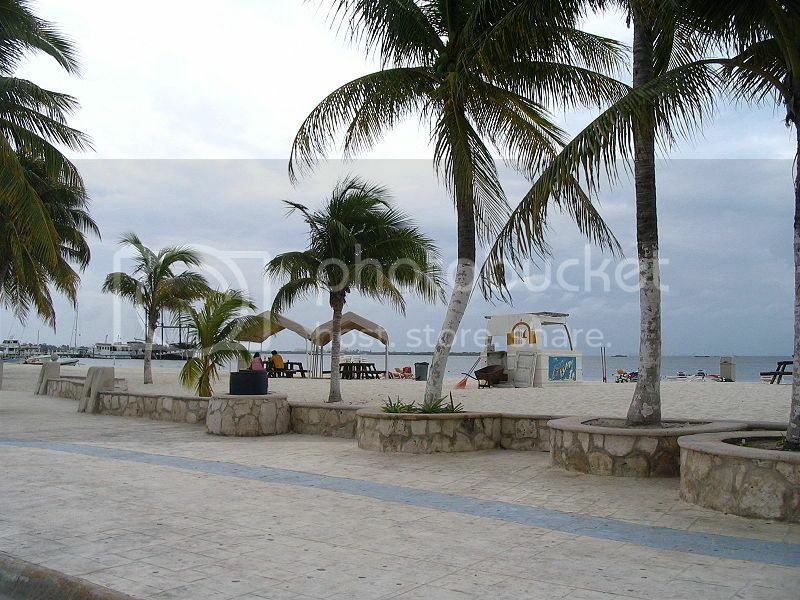 Chetumal is located on the southern corner of Quintana Roo bordering Belize. Chetumal is a popular stop-over for day trips to Belize City. From here, you’ll be able to catch a direct bus to Belize city, which takes around 3 hours to get to. Even if you’re not planning to visit Belize, you wouldn't want to miss a trip to Chetumal during your vacation in Quintana Roo, especially if you’re interested in learning about Mayan culture. The Museum of Mayan Culture in Chetumal is an absolute gem of museum with various floors showcasing many exhibits depicting Mayan life. If you wish to you can also arrange a guided tour at the museum with one of the English-speaking guides. Chetumal is also one of the best places to visit in Quintana Roo because of its Duty Free Zone which boasts over 300 shops selling inexpensive local crafts like pottery items, paintings, liquor, etc. Coba is another popular place in Quintana Roo where you can check out Mayan ruins. Coba Ruins are located around 60 minutes drive from either Tulum and Playa del Carmen, so if you’re based on those places and are using car rental, you can easily visit the Coba Ruins. Coba Ruins are one of the larger Mayan Sites in Yucatan Mexico since the Site is spread over a large area, so you can easily spend 5-6 hours at the Site. Coba Ruins boasts many temples and step-pyramids that you’re allowed to climb to get amazing views of the area around. The Muyil Ruins Site is located south of Tulum (around an hour’s drive), and it’s another of the few places to visit in Quintana Roo where you can explore off the beaten track Mayan Ruins. Mauyil Ruins are one of the lesser known Mayan Sites in the Yucatan Peninsula, though they're worth checking out if you’re visiting the Tulum Ruins. Unlike other Mayan Sites, Muyil Ruins boast well-preserved colorful stone carvings, a look-out tower and a couple of stunning lagoons with ancient waterways that lead out into the Caribbean ocean. You can explore the lagoons by boat on a regular tour, or book an extensive tour from Chunyaxche Lagoon to Boca Paila. If you’re looking to learn more about Muyil history and its canals, you best bet is to book a guided tour with Sian Ka’an Biosphere Reserve. Tulum Ruins are, undoubtedly, one of the top places to visit in Quintana Roo, mainly because of the stunning views you can get of the Caribbean Sea. Tulum Mayan Site was built atop a cliff so it provides a natural vantage point for getting great views of the sea. Once inside the actual Site, you'll be able to stand up near the top of the main temple to get great vistas of the area around. To get the most out of your trip here, you’ll want to allow at least 3-4 hours in Tulum to explore the Site, visit the nearby shops and enjoy a dip on the sea. 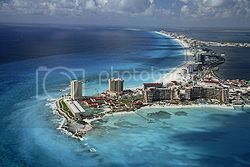 Cancun is certainly one of the most popular places to visit in Quintana Roo boasting beautiful white sandy beaches, amazing azure waters, luxury hotels, vibrant nightlife, spectacular wildlife and lovely weather all year round. It doesn’t come as a surprise Cancun comes top on the list of warm winter destinations in the US and Spring Break destinations. 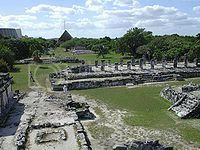 El Rey Ruins (Zona Arqueologica El Rey) are located along Hotel Zone Strip; around 30 minutes drive south of Cancun. El Rey Ruins aren’t one of the biggest ruins to explore but with a very cheap admission fee (around $3), they’re definitely one of the cheapest to visit in the Yucatan Peninsula, if you fancy a quick trip. El Meco Ruins are one of the two Mayan ruins located in the vicinity of Cancun. El Meco Ruins are located north of Cancun, on the way to Punta Sam ferry terminal (around 5 minutes drive). Just like El Rey Ruins, El Meco Ruins draw very few visitors when compared to the Mayan Ruins of Chichen Itza. This is, however, part of the charm since you will get a chance to explore the Ruins without the crowds. Isla Mujeres (Island of Women) is a small isle located off the coast off Cancun, and great for enjoying shirt day trips from Cancun. In Isla Mujeres, you can enjoy fun water activities like snorkeling, swimming with dolphins, scuba diving and water-skiing, as well as visiting the sea turtle farm. You can easily reach the island by hopping on a water taxi or catamaran which normally includes snorkeling tours as well as fishing trips.